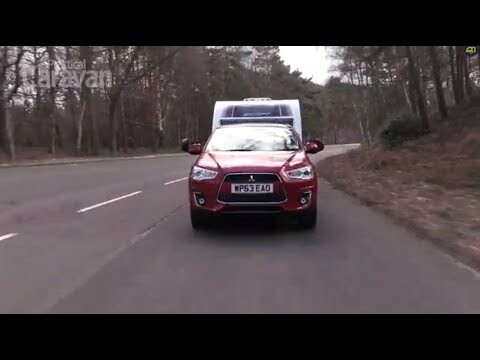 Practical Caravan's tow car guru David Motton has put the Mitsubishi﻿ ASX 4 2.2 4WD Automatic through its paces -watch, like, share and comment on his video review! For the latest and best caravan reviews and advice, exhaustive, expert tests to help you decide what tow car is right for you, travel guides to ensure you get the most from your caravan holidays and much more, make sure you tune into The Caravan Channel! Tune in on Sky 212, on Freesat 401, or watch live online. In our latest TV show, Practical Caravan's Group Editor Rob Ganley casts his expert eye over the Adria Astella Glam Rio Grande, and he also compares a Bailey Pursuit 530-4 with a Swift Freestyle dealer special from Lowdhams. And if that wasn't enough, we also have a fourth caravan review as our very own Niall Hampton takes a look at the Coachman Pastiche 525/4. Practical Caravan's tow car guru David Motton is also on the new episode of The Caravan Channel show, reviewing the new Mitsubishi ASX 4 2.2 4WD Automatic to see how it performs as a tow car. How will it fare in his tough test? In this episode you can also watch caravan expert John Wickersham explaining exactly how caravan brakes work. He also shares sage advice about fridge vents – and how the right ones can make a big difference. Finally, if you tune in you will be able to enjoy our latest caravan travel guide. This time, Practical Caravan's Features Editor Clare Kelly heads to leafy Surrey to see what the county has to offer on a caravan holiday. Practical Caravan's team works with Information TV to co-produce shows on The Caravan Channel. Each show is broadcast several times across a fortnightly period (see times below) on Sky 212 and Freesat 401. Or you can watch live online on The Caravan Channel website.